Payment: Western Union for sample order; TT for bulk order; 30% downpayment for confirmed order; 70% balance for delivery. Delivery: 1 week for sample order;2-4 weeks for bulk order after order confirmed. 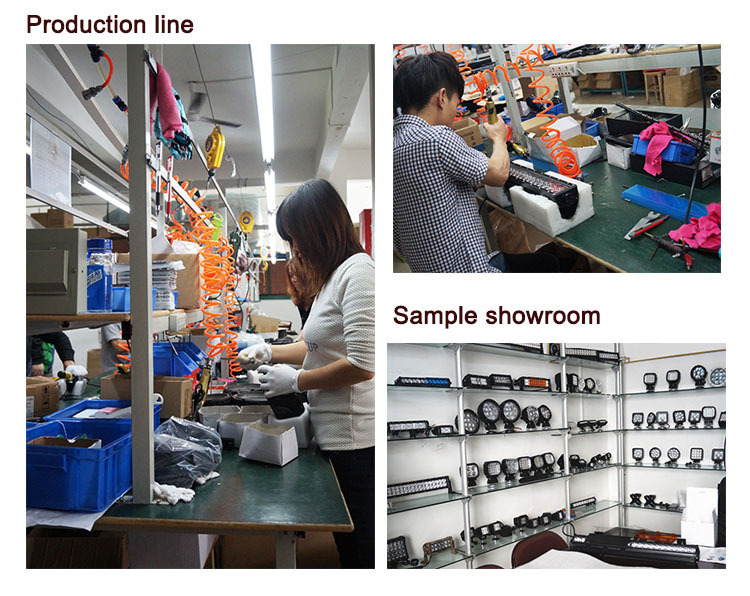 Shipment: We can express it by Fedex,UPS,DHL,or EMS for sample order. 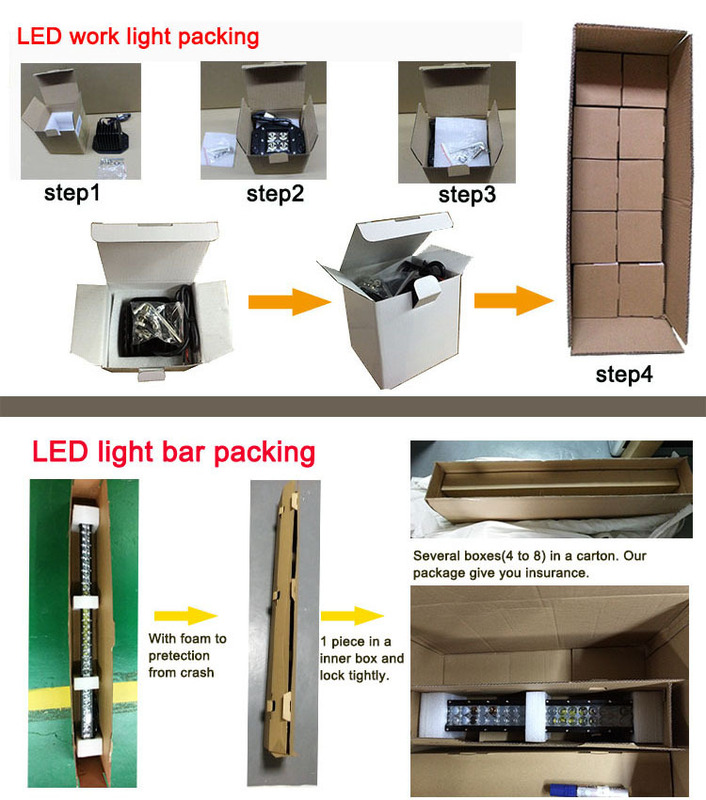 And delivery in FOB&CIF Guangzhoug for bulk order. Step1: Packed in pearl cotton,and spare parts in poly bag. Step2: Put in a paper box,make sure very stable,not loose. Step3: Cover by sponge,put parts on and lock the box. Step4: Then several boxes in a suitable carton. 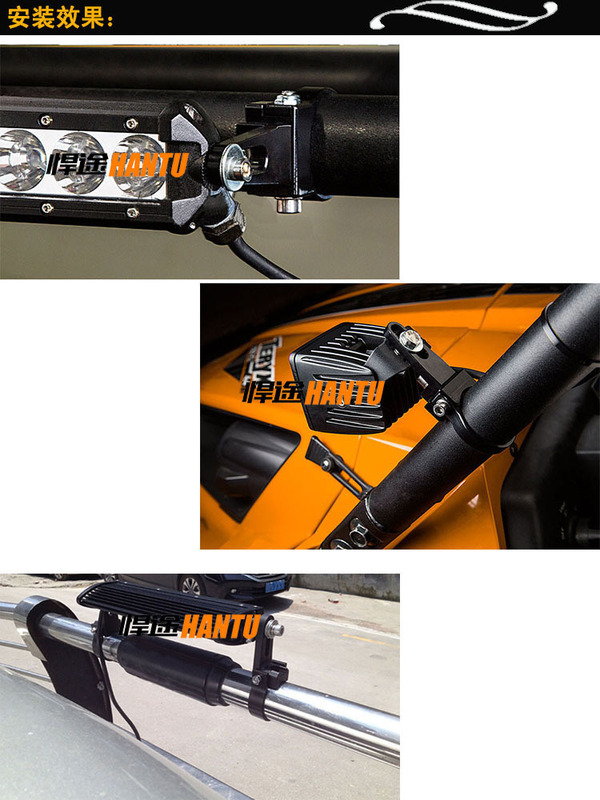 Thicker die-cast aluminum housing, design for better heat resistant. 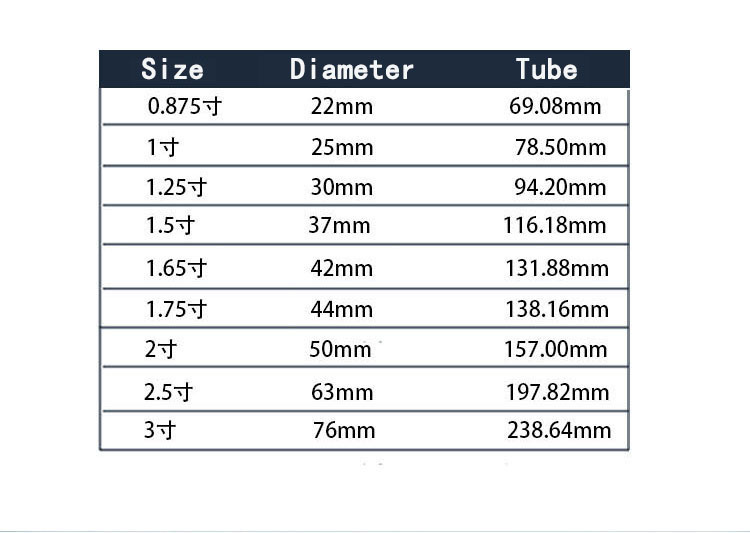 Premium PC lens imported from South Korea for abrasion resistant. Stainless Steel adjustable mounting brackets. Energy-efficient and low power consumption. Waterproof, dust proof, durable and vibration resistant. caravan awning lighting, farming, heavy equipment etc. A1. 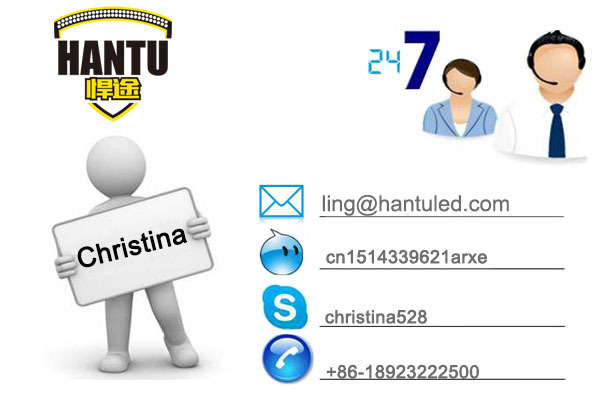 We are the manufacturer for auto LED lights. And we have our own housing shell factory. So we have the advantage of quality and price and delivery. Q2: What is the warranty? a video clip to show the problem.And free parts can be provided for damage product during the warranty. Q3: What is the MOQ for your products? Q4: How can I pay you? A4: Western Union for small order and Bank transfer T/T for bulk orders. Q5: What is the lead time? 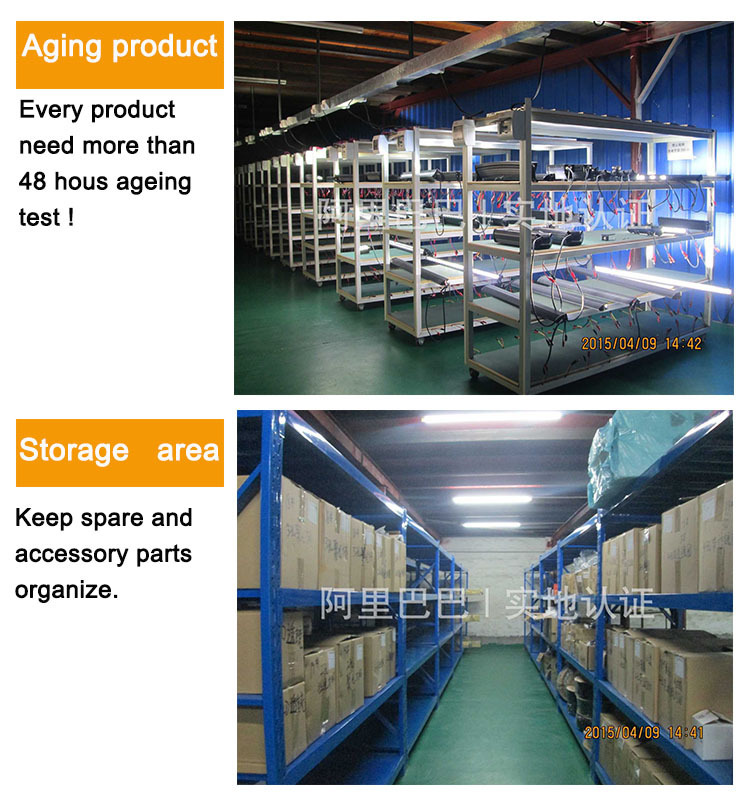 A5: 2-3 days for sample order; 3-4 weeks for bulk orders. Q6: How do you ship my order? A6: UPS/DHL/FEX is your option for sample order. It takes 4-7 days by express except for remote erea. 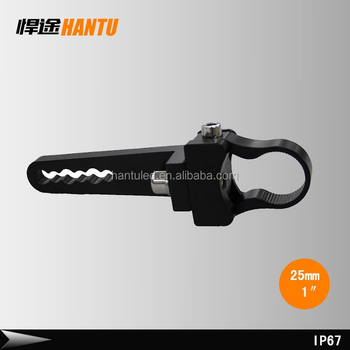 Bulk order can be shipped in FOB Guangzhou or CIF your port.